Through tragedy has come hope in the selfless actions by a young man who lost his life in the tragic vehicle accident on Friday night, involving the Humboldt Broncos team bus, that saw 15 people lose their lives. Logan Boulet, a 21-year-old defenceman from Lethbridge who played with the Broncos who compete in the Saskatchewan Junior Hockey League, had just signed his organ donor card mere weeks before Friday’s accident. Boulet was taken off life support over the weekend and his gift has helped save six lives with transplants. Boulet, was on his way to a semi-final game against the Nipawin Hawks when a tractor trailer and the bus collided, killing 15 people and injuring over a dozen more. The captain, Logan Schatz, nine other players, two coaches, a radio play-by-play announcer and a statistician from the Saskatchewan Junior Hockey team were also confirmed killed. Jack Brewin, a two-term town councillor for Taber, knows of importance of organ donation himself, having received a live liver transplant back in 2016, due to suffering from an autoimmune disease. “In all the terrible things that have come out of this, that was something beautiful in all the lives he helped save. I am so thankful to this young man, having been an organ recipient myself,” said Brewin, who along with Canadians across Canada, were in utter shock upon hearing of the story breaking on social media. Of all the gifts that can be given in life, none is greater than the gift of life which Brewin noted Boulet has given to numerous families in the need of his organs. “This young man gave life. Imagine the people in need of his organs, be it liver, heart or lungs. They were dying before this young man’s life left…now they have a second chance to live on through him,” said Brewin. Tragedies like those witnessed with the Humboldt Broncos have seen spikes in those signing their organ donor cards across Canada. That awareness also spiked around southern Alberta when Brewin’s story broke of needing a donor, which has made the town councillor an advocate. Within the European Union, organ donation is regulated by member states. As of 2010, 24 European countries have some form of presumed consent (opt-out) system, with the most prominent and limited opt-out systems in Spain, France, Austria, and Belgium yielding high donor rates. Canada lags behind many nations in terms of organ donation, 18 donors per million people according to September 2017 statistics (CBC), and is in the lower third of developed countries. The Town of Taber has lowered its flags in front of the administration building to half-mast in recognition of the tragedy and mourn those who have lost their lives, while recognizing first responders and medical professionals. There have been reported events on social media of Taberites following a Canada-wide trend of leaving a hockey stick on their front porch, with the lights on in support of the Humboldt Broncos. In less than a week, over $5 million has been raised in GoFundMe donations to help players/families affected by the tragedy. 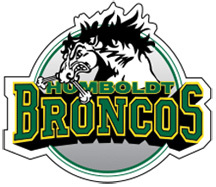 Hockey rinks all across Canada have given tributes to the Broncos in pre-game ceremonies in their playoffs.